'Sharing is Caring', This is a common phrase in Blogging world. A blogger brings quality content and If you like his work then you should support his site by sharing the post. 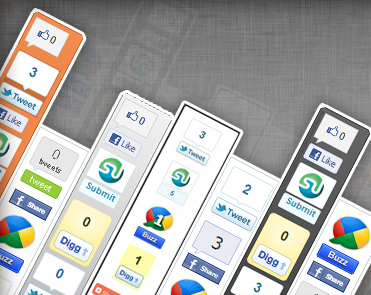 You must have seen a floating share button on many websites and blogs around the Internet. This kind of widgets attract people to share articles if they find it interesting. People won't have to search for share buttons because, buttons are following you with each scroll. You can see a demo of this widget on left side of my Blog, while looking at it, Do share it on social networks. If you guys like my posts then please Share them. Adding a floating share widget is easy if you know all the steps and I am here to show you How to do it. Now you'll be able to see a floating Share widget on your blog. Customization: You can align the widget as per your template design. For aligning the widget Horizontally change the value of margin-left in the code. example: If I want to push the widget towards left a bit, I'll change the value of margin-left from -68px to -70px.